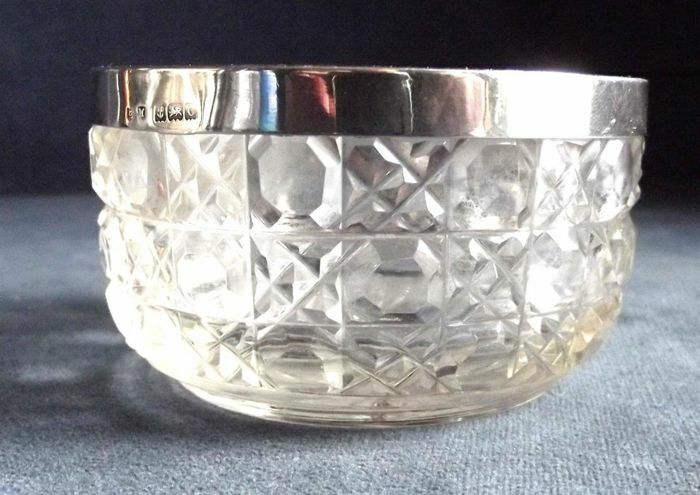 Lot 655 - Antique glass bowl decorated with a B’ham silver band 1902 by Henry Matthews. 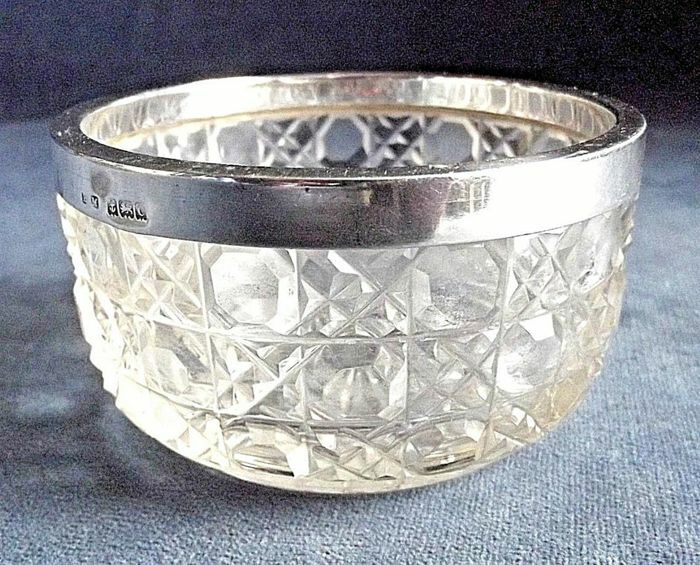 This superb antique bowl features a solid silver band. 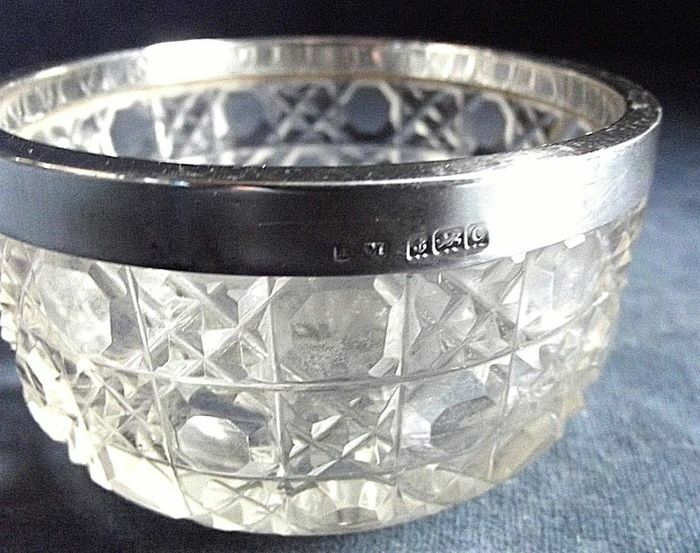 Silver with hallmarks by Henry Matthews, 1908. The glass body has a faceted design. Very good condition, no cracks or chips on the glass. Please look at the pictures for the condition of the item.